Wouldn’t it have been great if you’d put some of that money aside? Just £50 per week for four years would have added up to over £10,000 plus compound interest. For me, that £50 per week (a new shirt, 1/6th of the latest mobile phone or a night out) would have been worth around £15,000 by now. More to the point, had my wife done to the same it would have equalled a smaller mortgage at a better rate or over a shorter term. Of course it is difficult to encourage to the young to save money, they don’t think about the future very much. That means that strong guidance from a young age is necessary to instil the principles of good money management. It is one of the most useful life skills you can give your child so it needs to be taken seriously and you need to make it interesting. Obviously if you try to explain to your child how saving now will reap rewards in 20 years with a favourable mortgage rate or in 50 years with a good pension it is going to fall on deaf ears. Children and even young adults just cannot comprehend these things and they won’t take any notice. Instead you need to create some benefits which they can relate to. What Can I Do To Make Saving Interesting? Children will enjoy saving if they are able to see tangible rewards. Start by encouraging them to save a portion of their pocket money each week for a month. If they manage to save, say, £1 per week, give them an extra £1. This way they will learn to associate saving with rewards and will hopefully carry this association into adult life. If your child doesn’t receive pocket money or is too young, you could do the same experiment but with non-cash alternatives such as sweets or television/computer time. As long as the message that by saving you will end up better off gets through you will have achieved your aim. As your child gets older you can help them open a savings account. Don’t just open an account for them though; involve them by looking for an account together. As well as given them a very basic understanding of the workings of savings and investments, involving them will make them feel more grown up and they’ll want to impress you by building their savings. All of the above tactics will help mould your child into being a saver rather than a spender in adult life but saving £1 per week pocket money will never amount to a fortune. Giving them a good head start will also go a long way to shaping how they deal with money in future and a great way to do this is with a Junior ISA. 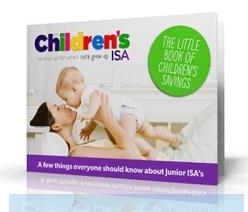 The Junior ISA is a tax free savings account especially for under eighteens. It allows up to £3,600 per year to be saved on behalf of the child without tax becoming payable on the interest. Anyone can pay money in as long as the annual limit is not exceeded. Once deposited the money cannot be withdrawn, by parent or child, until the child is eighteen at which point it matures into an adult ISA over which your child has complete control. As it involves saving over the long term, as much as eighteen years, it is easier than you might think to end up with a significant sum by the end. Saving just £100 could equal something in the order of £34,000. Giving your child a start like this would encourage them to add to it once they start earning their own money. Just like the adult version, the Junior ISA year ends on 5th April at midnight so you will need to hurry to open an account in time to take advantage of this year’s £3600 allowance. If you miss this deadline this year’s allowance will be lost. This entry was posted in Child ISA, Junior Cash ISA, Junior ISA Savings. Bookmark the permalink. You can compare Junior ISAs here on our dedicated page. You could also download a copy of our free ebook on children’s ISA here for further information which may help you. Am afraid we cant give independent financial advice, here comes the disclaimer ! Above should not be relied upon as a specific recommendation. It should be used for general information only purposes. It does not constitute financial advice. Always seek independent legal and financial advice before making a decision based on the content of this website.